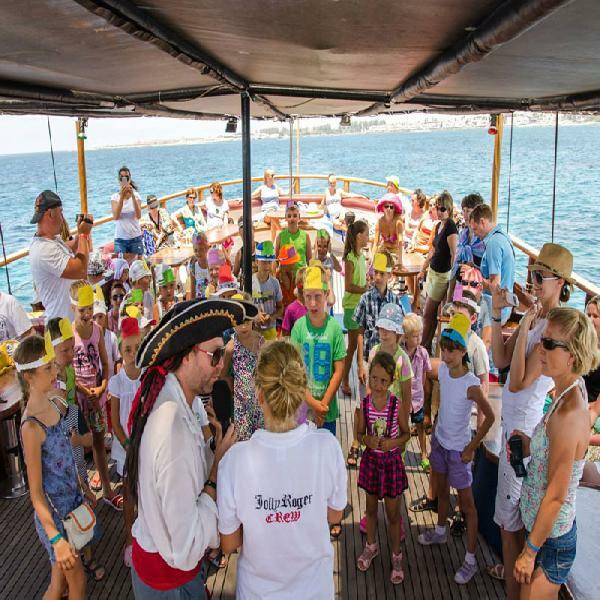 Enjoy a pirate-themed half-day cruise along the Pafos coastline. All aboard the Jolly Roger! Come and experience a half-day adventure while you take a pirate-themed cruise along the Pafos coastline. 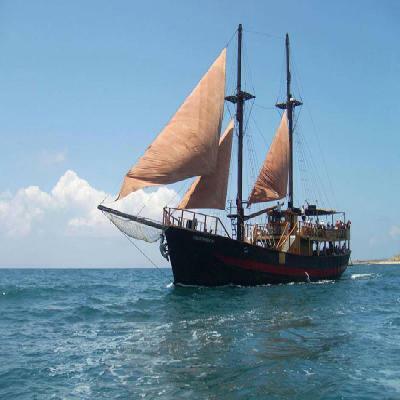 The Jolly Roger is named after the pirate ship in the Peter Pan story. Facepainting is provided for the children, while you relax with a welcome drink. 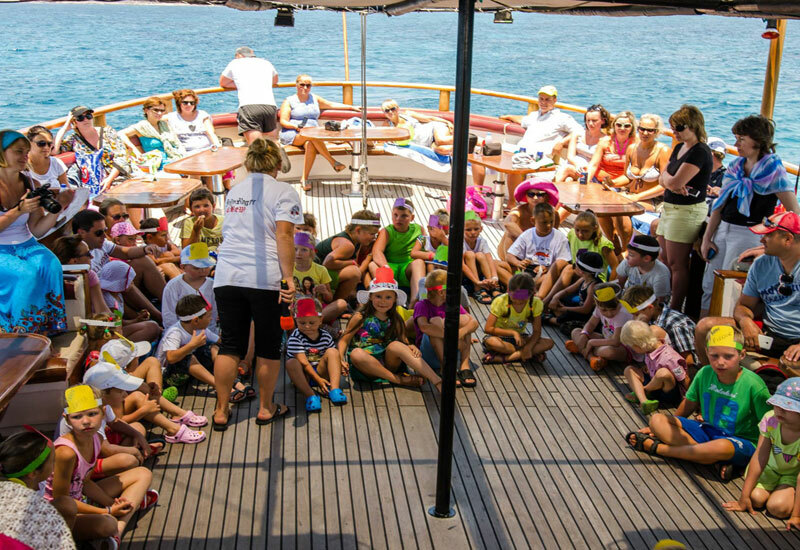 Meet the friendliest pirates and have a whale of a time with the quality entertainment programme designed for children and “Older Children” on your half-day trip. 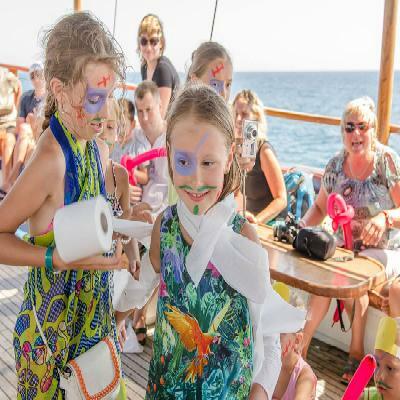 There's a jolly entertainment programme with magicians and pirates who mingle with the passengers on board. The ship will anchor in the stunning Pafos bay area, where you will enjoy swimming and snorkelling in the warmth of the turquoise Mediterranean Sea. Enjoy a Buccaneers' lunch with seasonal fruits on board. You can also buy drinks from the bar on board. 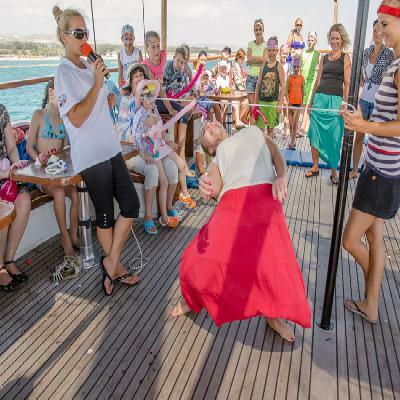 Dance and sing with the pirates at a comfortable cruising speed as you head back to Pafos Harbour. 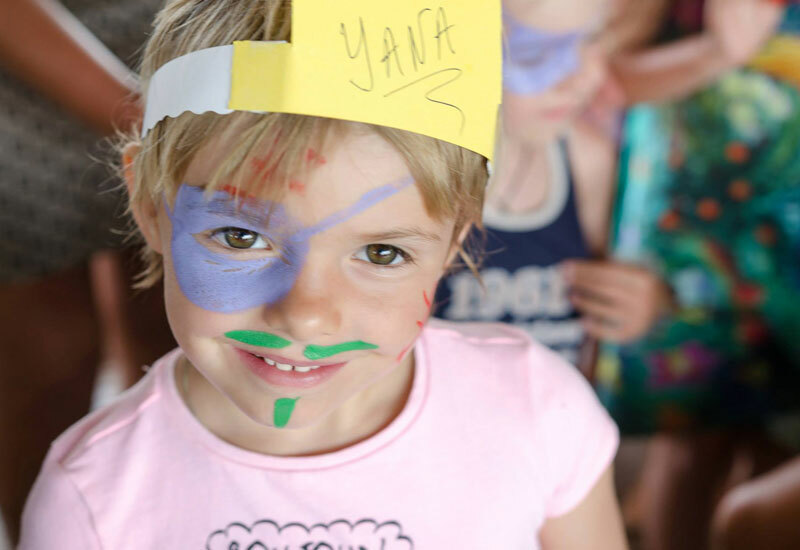 This will be a day to remember for you and your junior shipmates. Dress casual / comfortable / Swim wear"